Happy St. Valentine's Day, friends! She posted about the grand opening of her etsy shop here. I bought a few things! 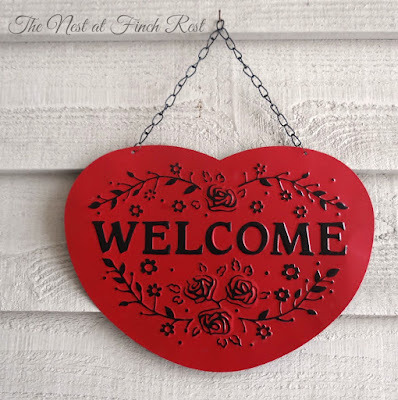 If you are a fan of country farmhouse you will love her shop! Look for her to be adding more to it, too, soon! What a lovely post, Michele. I love all your Valentine's Day decor. And the pink footed teacup reminds me of my mother, she had one like it or very similar to it. I need to go look in the tote of things I brought from her assisted living apartment when she passed. Happy Valentine's Day! 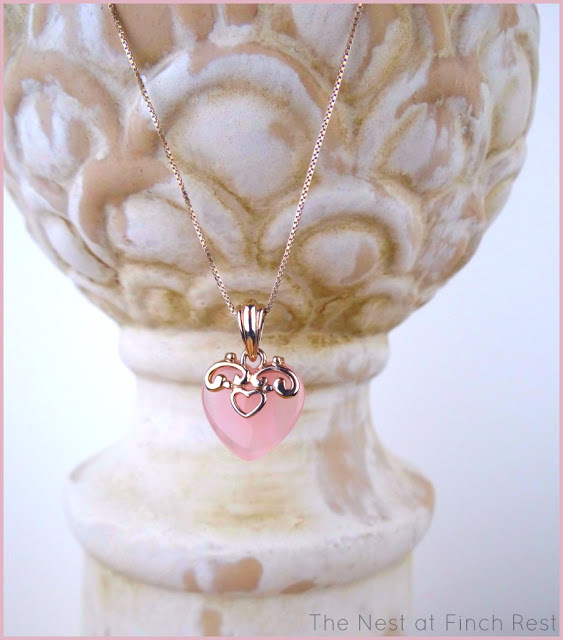 What a beautiful array of hearts, each style and shape is lovely. Hope you had a great Val's Day my friend. Oh how happy you've made my heart! Hope you had a wonderful Valentine's Day, Michele! 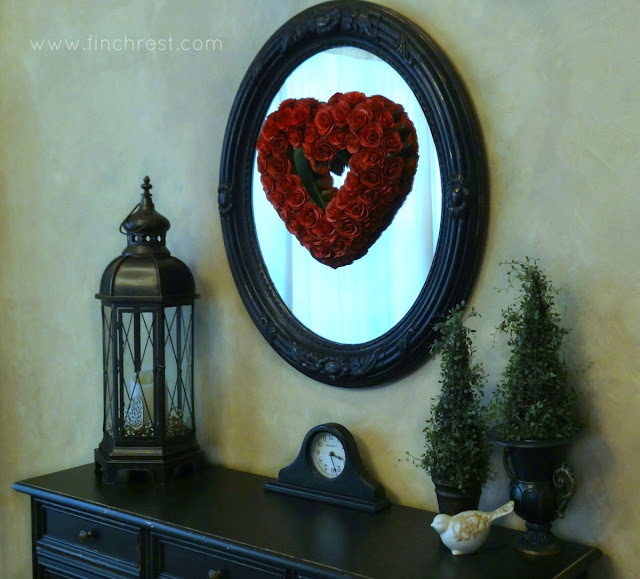 Love your understated but elegant seasonal decor for Heart Month! Your entire post was like one big, beautiful Valentine. 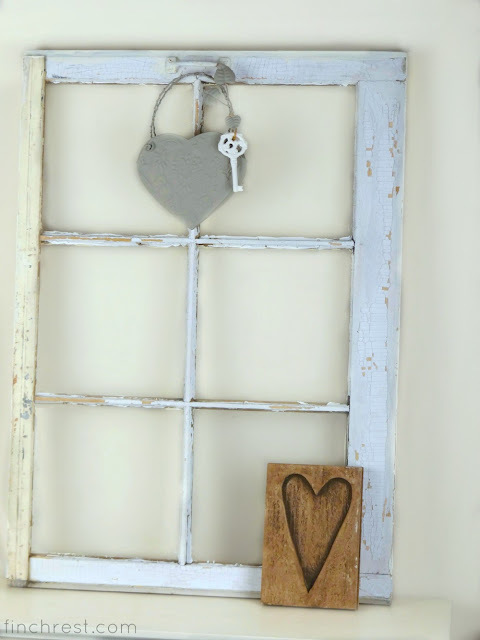 Very pretty and I think the juxtaposition of rustic and fine looks great. I love this beautiful post and yes, the greatest love ever was when God gave His only begotten Son! I love that cup and saucer. I sold many Japanese footed ones when I had my shop. I knew a lady who said she had 100 of those! What a collection. This is a lovely posting! Have a great week Michele. What a fun bunch of Valentine and Heart decor. And that final picture was the most meaningful! What a lovely post filled with lovely things and thoughts! The teacup is really sweet and the sugar cubes too. I love the Bible and roses. Thank you for sharing from your heart. Such beautiful photos Michele! I love the beauty and serenity you have captured here. Now I'm off to visit your friend's shop -- I'm still snowed in up north, so shopping online in front of the fire sounds good! Hope you had a wonderful Valentines day! 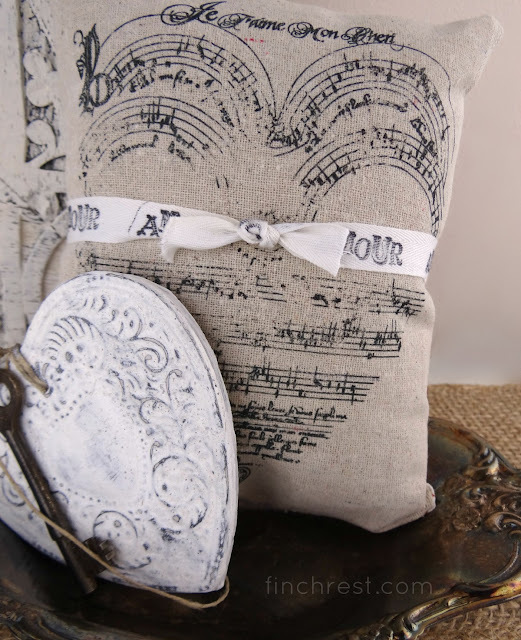 Love your beautiul teacup and all your heart decor. 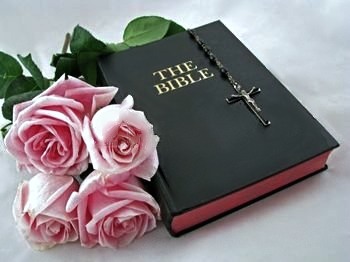 Such a pretty picture of the bible and roses! Delightful post. I love all the various forms of hearts. Especially like the Bible and pretty pink roses. Precious tea cup and sugar cubes. Lovely, lovely photos, and you ended on the perfect note as well, my friend! Thanks for sharing the link to the farmhouse style Etsy shop, too. That is my sister's style, and she's building a new house and will possibly need some new things. The heart is adorable! 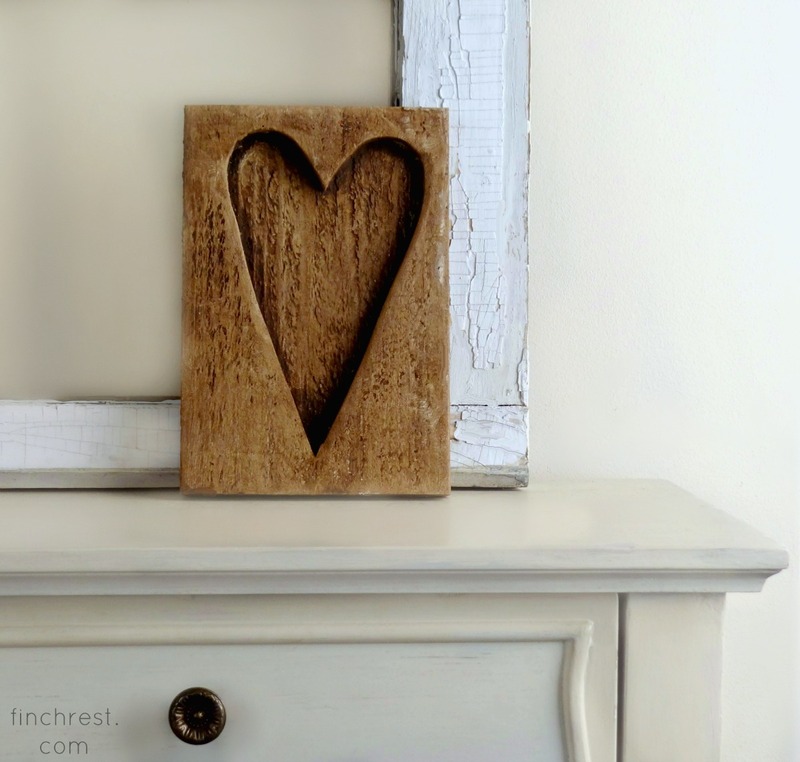 You have such wonderful and subtle Valentine decor that can be displayed all year long. I really like how you reused the window pane and hung the heart and key on it. Such a nice look. Would like to doing something similar in our family room. Hope you had a wonderful Valentine's Day! Very pretty Michele! I love the teacup you received,how good that you still stay in touch with STS . I go over and read at times but don't comment! Happy Valentine's Day, sweet Michele! Oh, what lovely snaps and you're so right - the best love of all comes from our Lord. Thanks for popping in to see me. Lovely Valentine decor Michele. Hope you had a very sweet and happy one. So many sweet valentines! 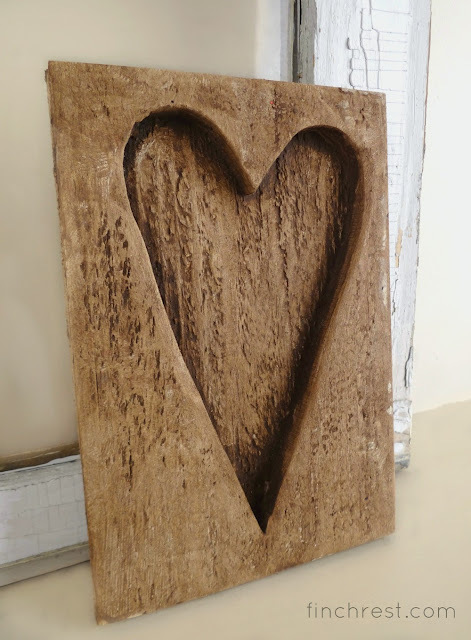 I do love that carved block heart! You left me such a sweet valentine comment! I don't know if you saw my answer in the comments about the birdie teapot. It's still available around here and there online. Google Bidie Toile Teapot. It has a few different colors. Good luck sweet lady! Hi Michele! So many lovely decorations. Really neat how the hearts are in so many different mediums. 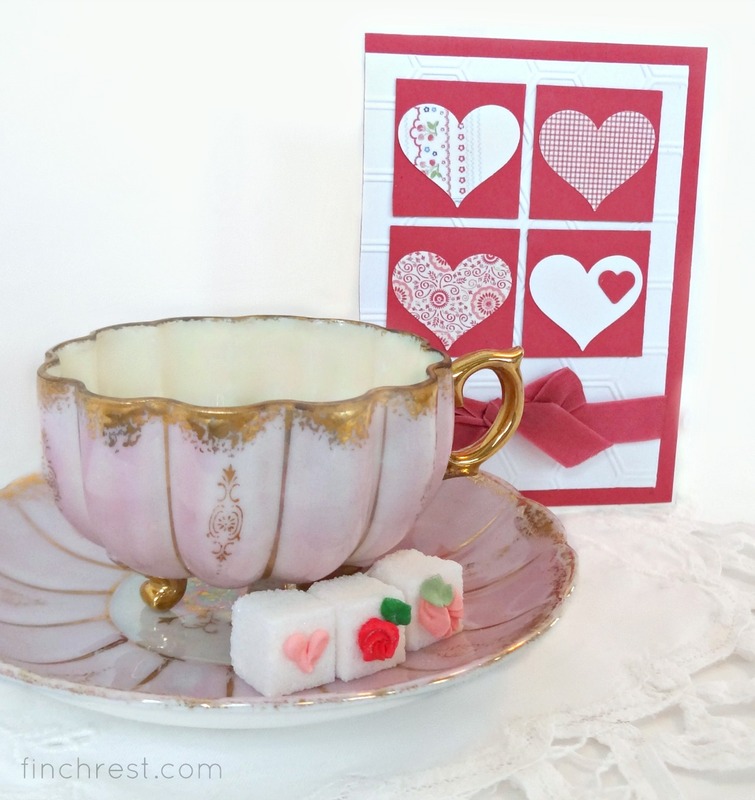 Love the pink teacup with the pretty card. My gosh your photography is gorgeous here! I am in love with those sugar cubes! 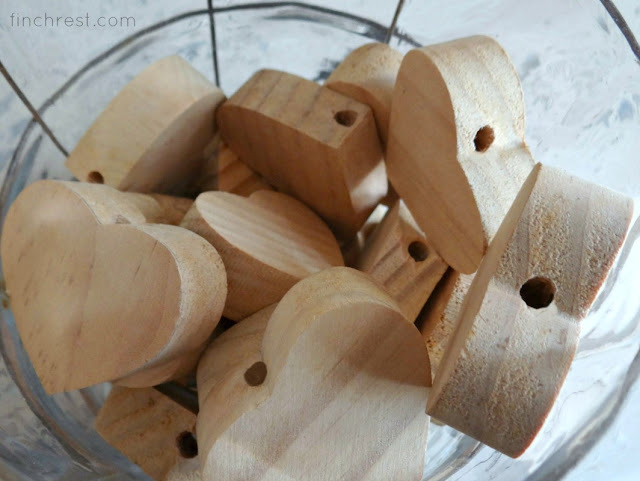 So many nice hearts for decor and displayed so nicely. 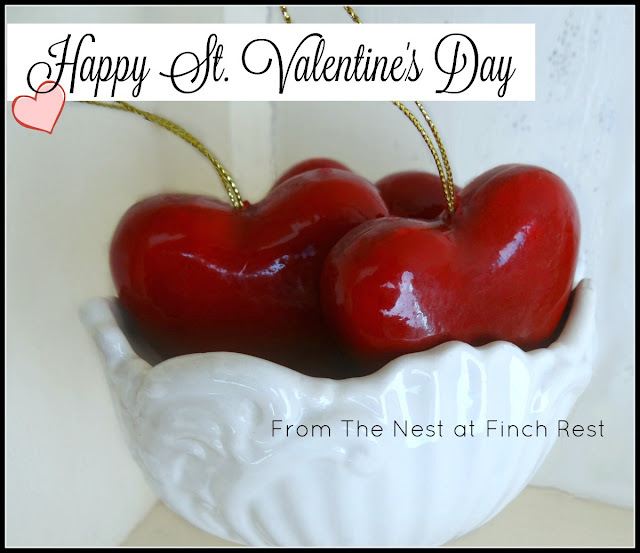 Hoping you had a wonderful and special Valentine's Day. Always beautiful Michele. So much to share and such interesting pieces. Oh yes, i love that wood heart!! Such a fun thing. I'll have to check out her shop! Thanks Michelle.